IT technicians pay high regard to the technical aspect of the technology, while IT managers have a wider vision by taking the management aspect into account. The recent development of the global positioning system is a fine example. GPS is hailed as the engineering project of the century. The basic principle is simple. Just find three objects of known location. Then, using a simple mathematical principle called trilateration, the location of the observer can be deduced. The challenge of a global system is to let anyone anywhere on earth have information of such three objects. 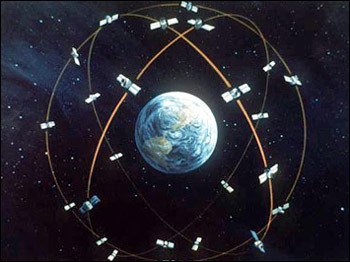 The system is a matrix of 27 earth-orbiting satellites, evenly distributed in fine-tuned orbits that anywhere on earth can have sight of at least three anytime. Another challenge is to find the distance and direction of the three satellites. This is done by receiving digital radio signals sent by the satellites and cleverly doing the maths. Now that the technicians have done their marvellous job, the managers have to figure out how to use it. The result is: for those with a GPS device, I know where I am, and I know where you are. This location based information has far reaching implications. The motivation for GPS was military applications. Satellite navigation allows for precision in the delivery of weapons to targets. It also allows military forces to be deployed more easily. The system is now available to the public and has triggered a wide variety of civilian uses, including navigation ranging from personal hand-held devices for trekking, to devices fitted to cars, trucks, ships and aircraft, synchronization of logistics and large operations, location-based services such as enhanced emergency services through cell phones, surveying, search and rescue, geophysical sciences, tracking devices used in wildlife management, and many others. The gadget became headline when a company launched an advertising campaign. 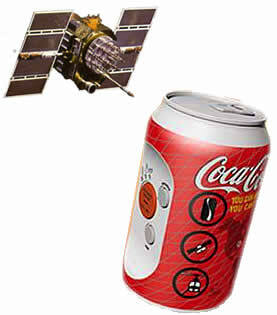 A GPS device was hidden in a cola can in random manner and sold through the normal retail channel. The device was activated when the can was opened. A search team of the company would then follow the location information and reach the owner of the can as fast as they could, and gave him a big prize, plus flashing cameras and microphones. The campaign backfired. The lucky guy who caught by surprise suddenly realized that his whereabout was shown to the world without his consent. Personal privacy has vanished from the world, in that you could buy a GPS device or someone could plant one on you without your knowing. Another example is the GPS device installed on vehicles for navigation purposes. I saw in movies that such devices are planted by spies on the vehicles of the victims for tailing. The location-based information from cell phones is considered a great help in case of emergency, and people are supposed to be allowed to opt to use this service or otherwise. However, the fact is that the cell phone emits such signal as long as it is turned on. Again, there are common scenes in movies that people are being tracked down this way by the good guys, and sometime by the bad guys. A few weeks ago, I read an article in Wired News about GPS and privacy. The articles reported on industrial actions against the GPS devices installed in the news trucks of WABC-TV for the deployment of the TV crew. It also reported on the proposal by the Taxi and Limousine Commission to fit cabs with GPS devices. Such devices are also used by UPS, waste disposals companies and logistics companies. We may think that the mobile workforce is best suited to be assisted by such technology, but the protest of employees demonstrated that GPS could be a foe in intruding on personal privacy. The article also reported on remedial measures taken, including raising the awareness of employees by being transparent and providing the necessary training on the capability of the devices. This is a management issue and managers are called upon to walk the fine line of balance. If you are interested, you may wish to click and take a look at the article.